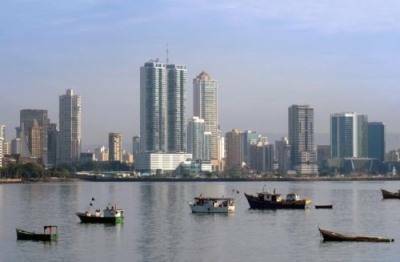 Panama Offshore Anonymous Company Formation. ISOG Panama Lawyer and Panama Attorney at Law Can Help You With Panama Offshore Anonymous Company Incorporation. Name of the Panama offshore anonymous company: it is important to know that the Anonymous company can take any name, provided it is not registered in the database of the Public Registry of Panama. Equally the name of the Company cannot take the name of “Bank”, unless you want to create a bank. Nevertheless the name can be in any language, but it will be followed by the letters S.A., INC., or CORP. or any other formula that indicates that it is a company. The business activity: This should indicate the business activity to which the company will be devoted. Share structure of the company: The number of shares and the type of shares that will be issued. Directors and Officers: The names and addresses of the directors of the company who must be at least three and can be of any nationality and being resident of any country. The names of the board directors of the company: president, secretary and treasurer. One person can take on the three positions. Shareholders of the company: there must be at least two persons who subscribe the shares of a company in Panama. They too can be of any nationality and reside in any country. This information is necessary during a Panama offshore anonymous company formation process. ISOG Panama lawyer and Panama attorny at law can help you with Panama offshore anonymous company incorporation. Many foreigners, once they have created their anonymous company, they request us, in order to keep a complete anonymity in the use of their companies, that we make that board of directors issue a special or general power of attorney. This power can be as general as to cover any economic activity, to be able to open bank bills, and up to buy and sell real estate assets or any other property. This power of attorney can also be granted to any other person designated by you, such as your personal manager, your wife or heirs. To be able to modify an Incorporation Act, it is necessary that the Shareholders meet in a regular or extraordinary meeting with the purpose of modifying it. It is possible to change all the parts of an Incorporation Act, except the names of the original subscribers which will be kept the same. If you wish to change the Incorporation Act, your company must not have any debts with the General Directorate of Revenue and it would thus be necessary to obtain a “Paz Y Salvo” document from the Ministry of Economy and Finance. ISOG Panama lawyer and Panama attorny at law can help you with Panama offshore anonymous company formation. In order to dissolve a Panama offshore anonymous company, it is necessary that your company must not have any debts with the General Directorate of Revenue of the Ministry of Economy and Finances and it would thus be necessary to obtain a “Paz Y Salvo” document. ISOG Panama lawyer and Panama attorny at law can help you with Panama offshore anonymous company incorporation and dissolution. To dissolve your company in Panama, it is necessary to record a minute of meeting of the board of directors with which they recommend the shareholders to dissolve the company. The shareholders then hold a meeting during which they decree the dissolution of the company. Such Resolution is then registered at the Public Registry of Panama and an abstract will be published in a national newspaper or in the Official Gazette and then the company will cease to exist. We can offer you through the ISOG Panama lawyer and Panama attorney at law, the management of your tax situation in Panama. We can verify what is due and when and do the payments on your behalf. This service is offered when a Panama offshore anonymous company formation is done by ISOG.